This is an exciting, action packed tale which expands on the history of Daemonheim and ties in with the recent Fremennik Sagas to give you an enthralling new insight into some of our most popular plots and characters. Once you've read that you can take part in our latest competition..
. In this competition we will be allowing YOU – the players, to decide the name of one of the central characters in Daemonheim Asunder! This means you have the power to influence the history of RuneScape, by naming the enigmatic Hobgoblin Geomancer! We will be taking suggestions for the Hobgoblin's name on this thread. So get your creative thinking caps on, and post some awesome names which you would like the character to have. We will then choose the best suggestions, and from this a Guaranteed Content Poll will decide the winning name. 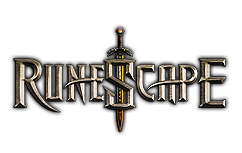 The player who creates the winning suggestion will go down forever in RuneScape history as creating a part of RuneScape legend, a pretty amazing claim to fame! Not only will this but they also get an exclusive hard copy of the story signed by the author, along with some more signed RuneScape goodies to boot!